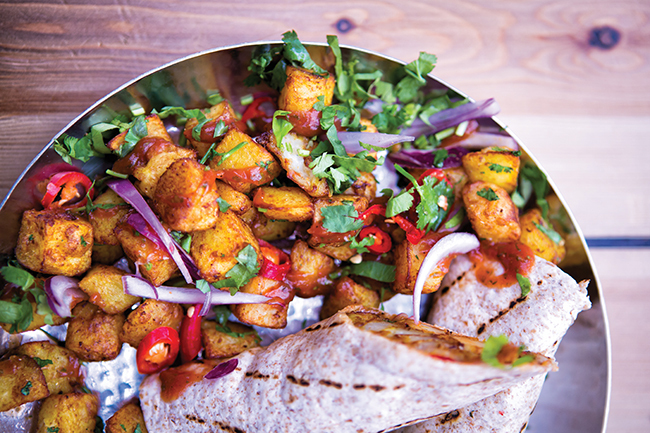 Mowgli serves flavoursome Indian street food and their vegan options include the renowned Mowgli chip butty, called a ‘flavour grenade’ on the menu! This tasty creation of fenugreek kissed turmeric fries and chilli pickle, served on a roti wrap is a favourite and there’s a choice of curries and dhals too. Don’t miss the bhel puri and the vegan Indian school tiffin. 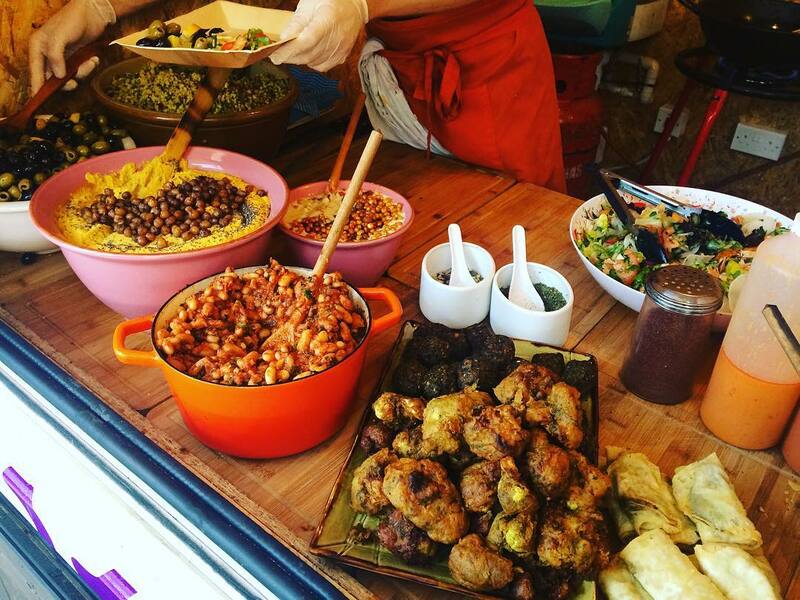 V Rev is Manchester City Centre’s first and only 100% vegan eatery, established in 2011. 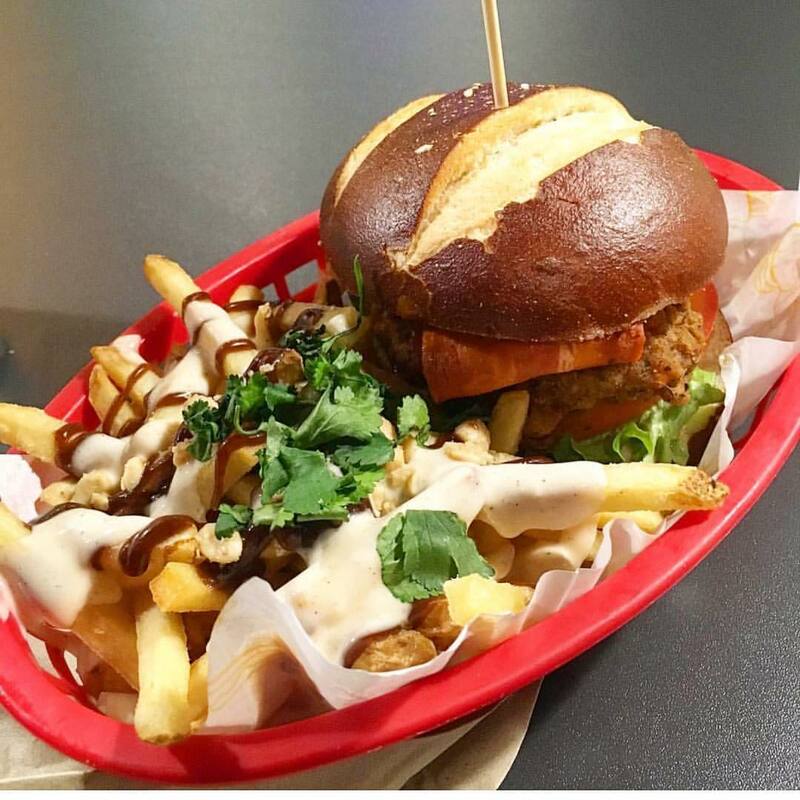 V Rev specialises in creating really decadent junk food vegan dishes, like burgers, hot dogs, sarnies, loaded fries to show that anything you can make, they can make a vegan version of it. The dishes all come with hilarious names included. Price guide: Burgers start at £7.55 and come in a vriety of sizes at different price points to suit every appetite and budget. This vegan restaurant in Stockport has been making waves and Chef Matthew Nutter has a flair for inventive recipes, such as courgette scallop with sweetcorn chowder, and salt baked pineapple with basil sorbet. 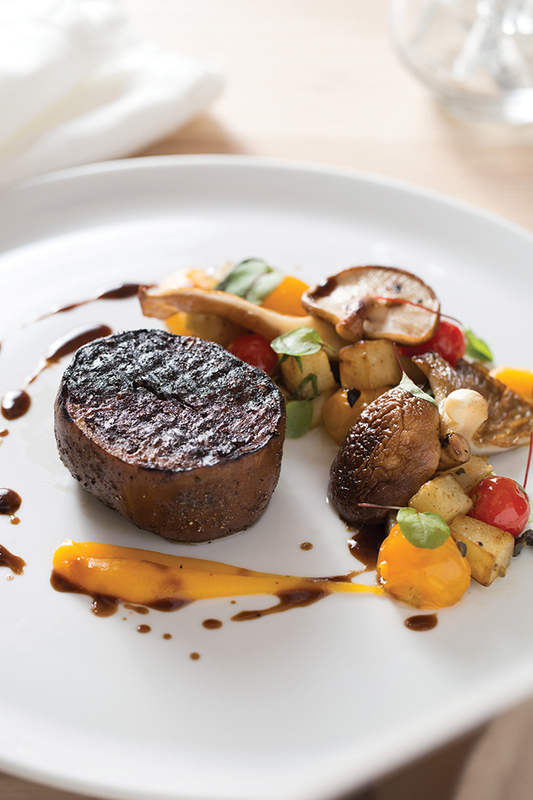 Try the taster menu to sample an array of dishes, or choose from main courses including peppered confit aubergine steak with roast garlic and sage pomme purée. 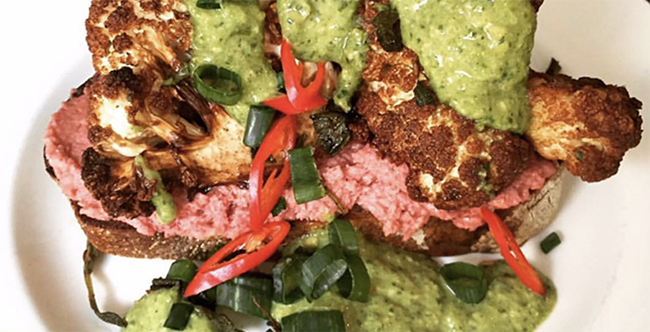 They take vegan cuisine to the next level with dishes like their cauliflower hot wings with aioli, an irresistible spin on the classic American diner favourite, which involves frying cauliflower in a secret blend of spices. The cheeseboard of cultured nut cheeses makes a delicious alternative too. 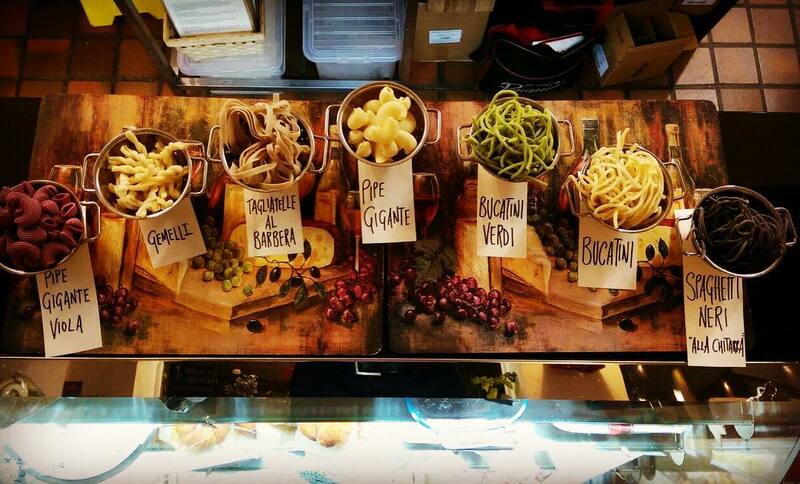 The Pasta Factory has a reputation for homemade vegan pasta and they put a lot of thought in to their dishes. The bucatini aglio e olio, a classic Italian dish of bucatini with Pugliese olive oil tossed with breadcrumbs, garlic, parsley and paprika packs in the flavour, and the handmade mushroom ravioli is rustic and satisfying. For something sweet, try the chocolate ravioli filled with figs and dressed with creamy sauce and coconut chips. Enzo is the place for fresh Italian food and excellent coffee and there are impressive vegan pizzas and pasta on the menu. The vegan pizza dough is freshly made in house and the ‘cheesy’ dough balls are hard to resist. 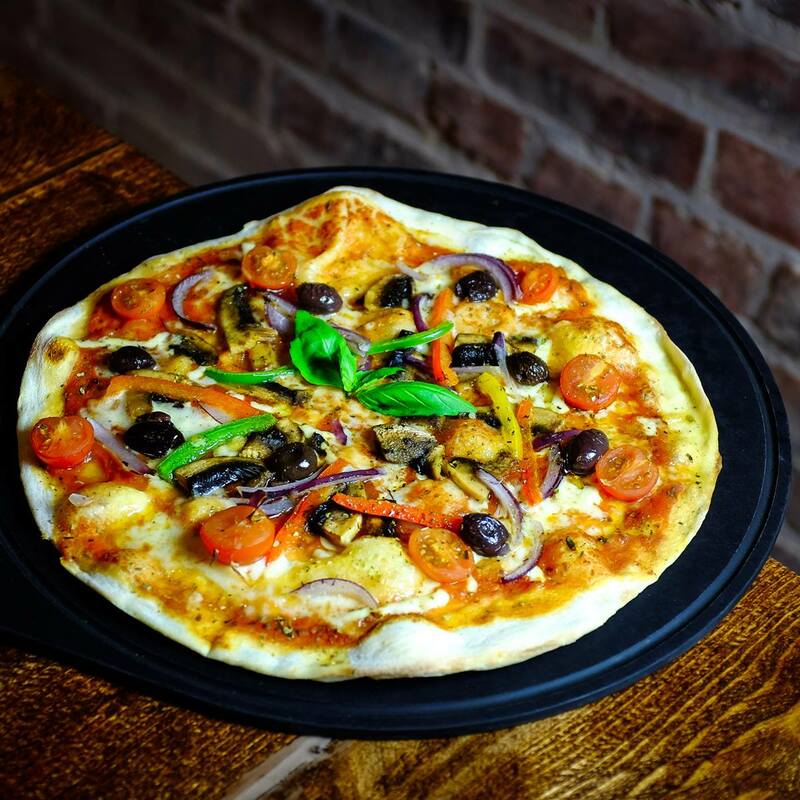 They source quality ingredients and pizzas can be topped with vegan cheese; try the veggie feast pizza with fresh veg and basil oil, or pop in for fresh penne with tomato and basil sauce. 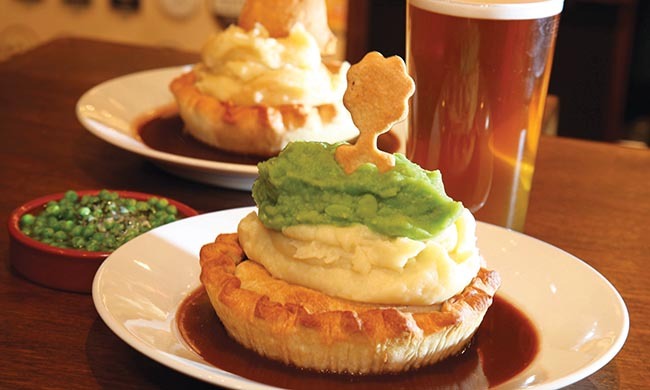 Pie & Ale serve freshly baked pies alongside award winning real ales and this is the place to go for pure comfort food. Vegan pies on offer recently have included ratatouille pie and hoisin butternut squash pie and they come served with mash and red wine gravy. They also offer a delivery service – pie straight to your door! For the festive season there’s a Caribbean Christmas pie with butternut, sweet potato, aubergine, pepper and a curry sauce. Lunya is a Catalan style restaurant, bar and deli split across three floors in Barton Arcade. The vegan menu includes tapas and paella and the platter is perfect for sharing, with marinated vegetables, salad, olives, dips and snacks. 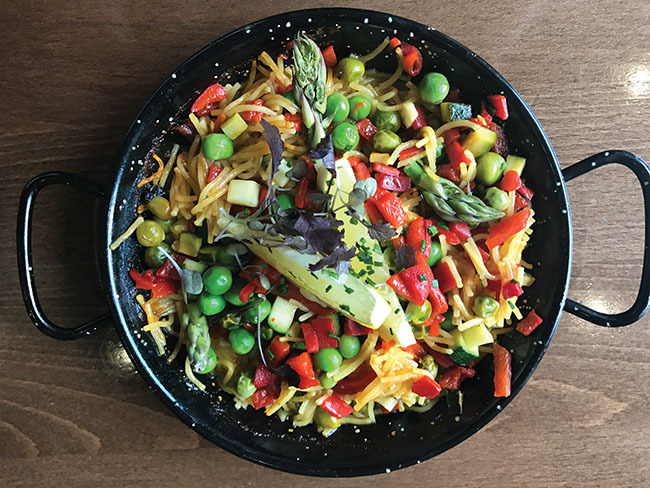 The fideua de verduras is not to be missed, this mixed veg mini ‘paella’ is made with Catalan noodles and market vegetables, for an authentic taste of Spain. 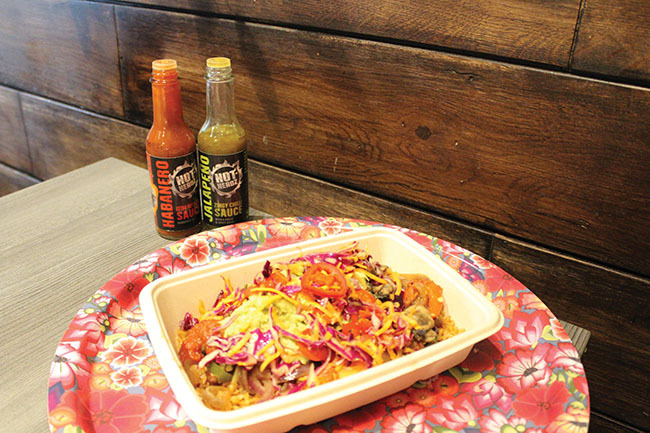 Mexican eatery Barburrito is famous for fast, fresh food like burritos, nachos and burrito bowls. 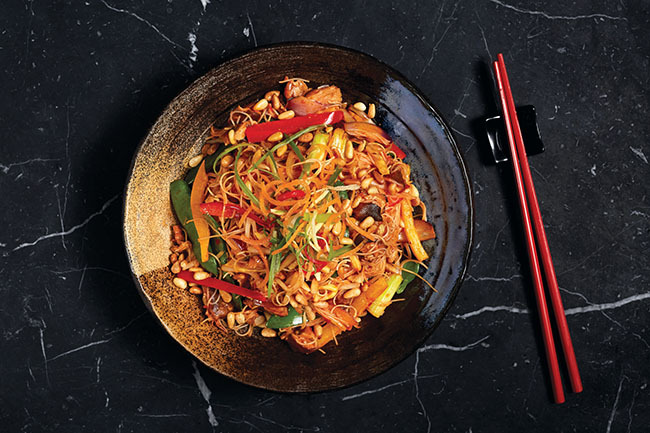 You can build your own dish, choosing from a range of toppings including flash fried vegetables, lime rice and guacamole. 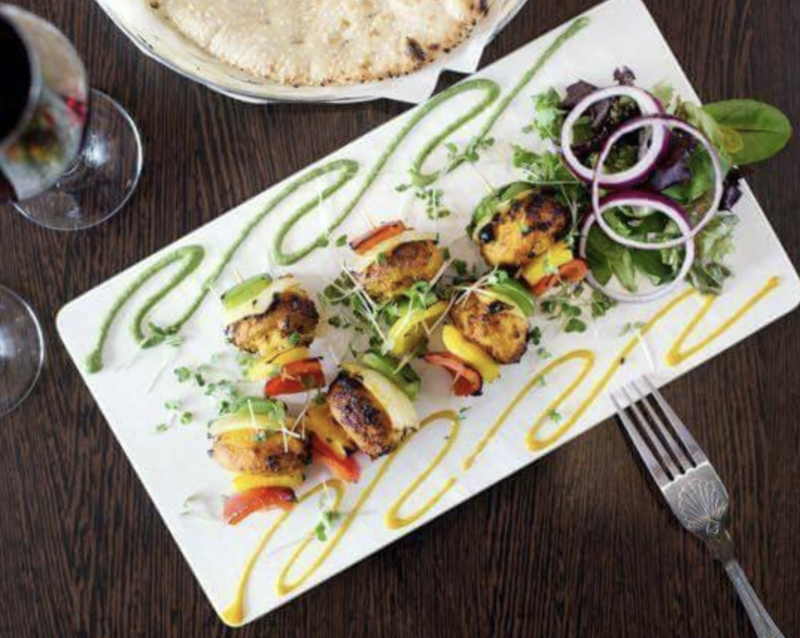 The food is filling and reasonably priced and there are two locations in the city centre – an ideal choice for lunch or dinner. Grub host events bringing together the best local independent traders and a visit to their Plant Powered Sundays (held every week) is a must. 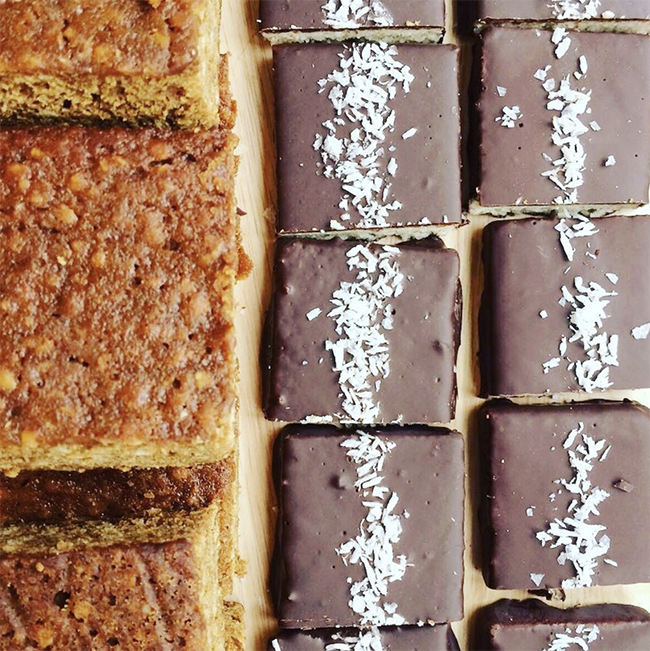 This vegan food extravaganza involves an impressive line-up of street food traders as well as a vegan friendly bar. The event is held at the historic Mayfield site and entry is free, leaving you more to spend on food! is very moreish, while chilli crusted tofu with kohlrabi, coriander and chilli soy is equally tempting. Tucked away in the village of Worsley, George’s is an elegant restaurant with a menu based around modern British cuisine sprinkled with global influences. It’s a good place for a leisurely dinner in stylish surroundings. 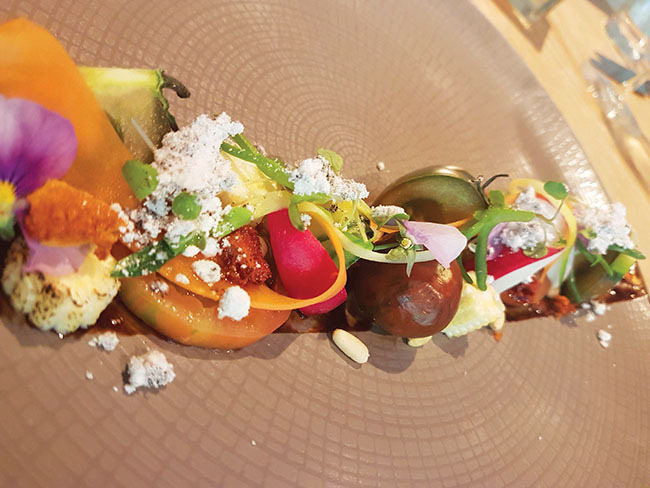 They’re happy to cater for vegan diners with dishes like a seasonal salad of heritage tomatoes and pickled veg. The chic bar area is nice for a relaxing drink before dinner too. Scene is all about Indian street food and traditional dishes, many of which are suitable for vegans. The food is freshly made to order, so most dishes can be adapted to suit a vegan diet on request, such as the popular samosa chaat (pastry filled with spiced potato and peas, topped with chickpeas and chutney and garnished with pomegranate), which can be served without yoghurt. The tarka dhal (yellow lentils with a sprinkling of coriander leaves, ginger, garlic and cumin seeds) is full of delicate flavours. The Punjabi choley with turmeric is another tasty option, and there are superfood dishes too, try the quinoa superbowl or the spiced five bean salad. Trove café is a good spot for breakfast and the mushrooms, polenta, seasonal greens, houmous, tomato chutney and toast is perfect to satisfy a big appetite. The cereal with coconut yoghurt and fruit compote is ideal for a lighter start to the day, while the charred aubergine and tahini open sandwich with tomato salad and pickled chilli is a good lunch option. Don’t leave without trying a coffee with Bonsoy milk. This café and bar is something of an institution in the Northern Quarter of Manchester and it’s a great place to start the day, with all breakfasts served with a free cup of tea or coffee and two rounds of toast. The Vegan Brekkie comes with veggie sausages, beans, mushrooms, hash browns, spinach and grilled tomato and you can add veggie black pudding too. Try the vegan board on the evening menu, laden with falafel, hummus, house pickled vegetables, cucumber salad, tahini dressing and sourdough. 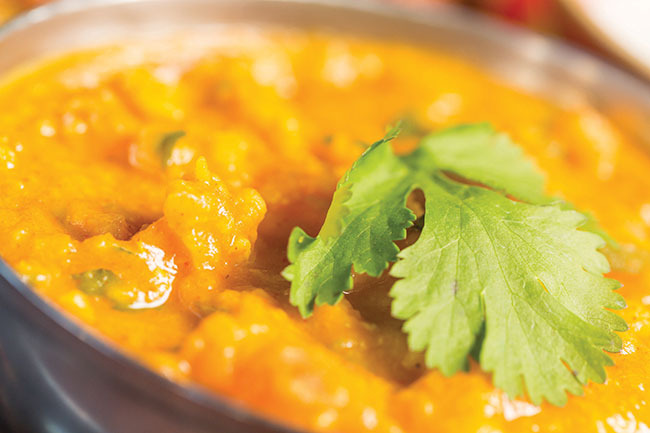 Sanskruti specialises in vegetarian and vegan cuisine inspired by various regions of India. There is a great range of options on the menu and diners can expect creations like channa palak, a combination of chickpeas and spinach cooked in aubergine gravy and fragrant spices. The mushroom palak is a refreshing twist on the usual curries, with a mix of mushrooms and spinach cooked in tangy green gravy.